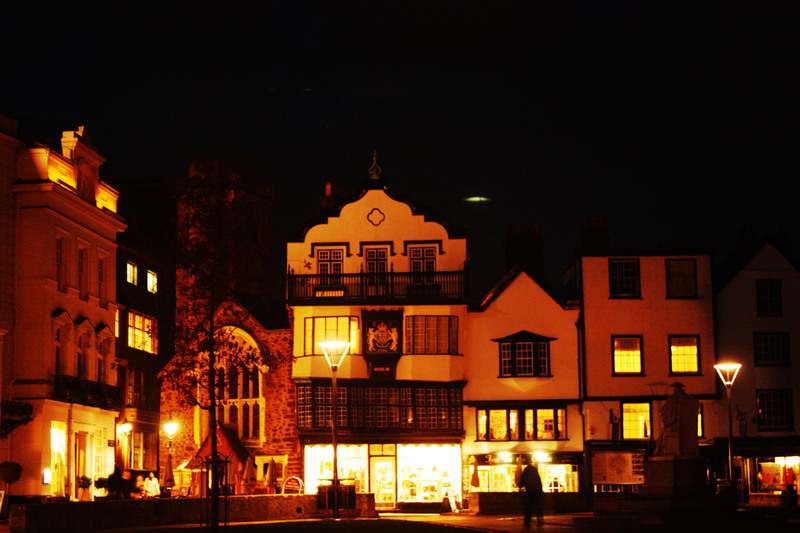 Travel Theme: Night, Exeter this time! Ailsa was expecting a photo of my city for her travel theme challenge so I’m back with a second post and I hope this doesn’t disappoint! Mols coffee house was built in the sixteenth century and on the left, The Royal Clarence, is reputedly the first hotel in England and of course its haunted! It’s a lovely rambling place that I have been to for conferences and has a Michael Caines restaurant. The Cathedral is across the green behind me. Ailsa is here and there are some stunning photos this week. Nice! It looks so warm and welcoming! Really beautiful. Wish I could visit. I like this even better than your first one! Beautiful. If my little blog brings even one extra visitor to Devon then thats cool!Have you always lived here as I have? *sigh* again you take me away to a new place, Gilly – thanks! Such a romantic atmosphere! Stunning pic!